Vastly improved from 2015. Snappy manual gearbox. Fun handling. Easy to live with. Three or five-door. Old 1.4 twin-charged model is poor. Suspension a little too firm for poorly surfaced roads. 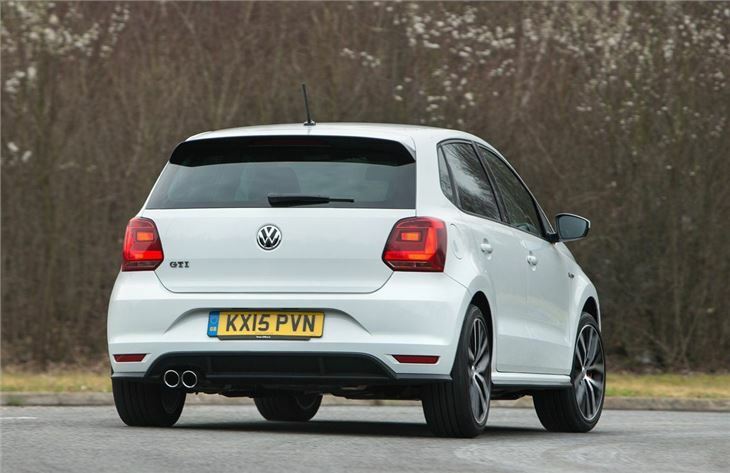 Volkswagen more or less invented the hot hatch with the original Golf GTI, so it has a wealth of experience to build on. 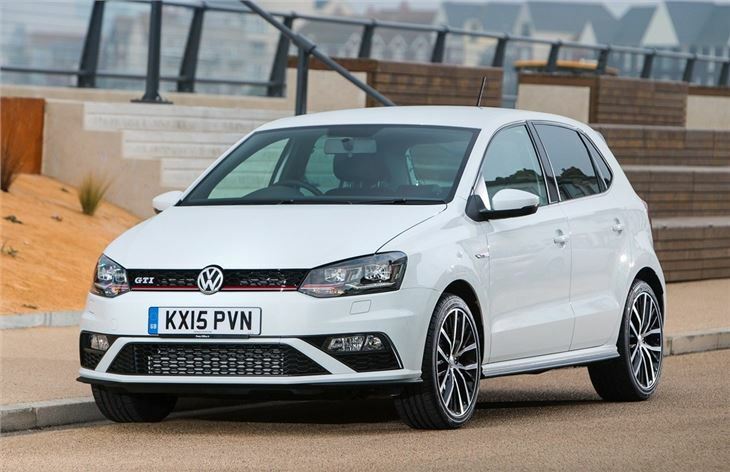 Sadly the latest generation of Polo GTI was beset by problems from its launch in 2010 – but from 2015 things have changed for the better. 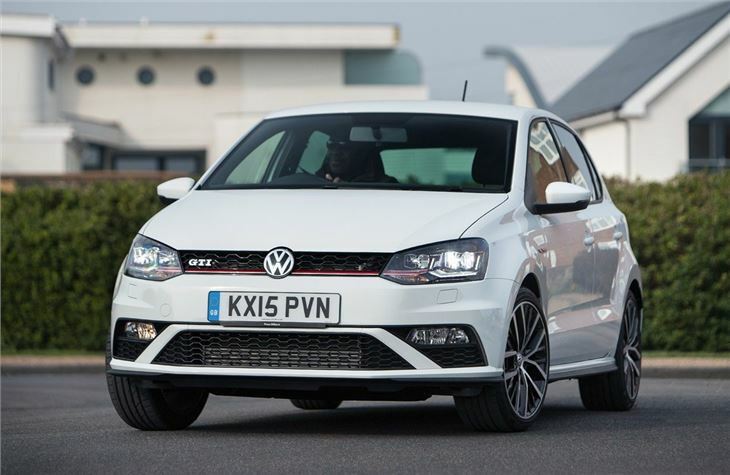 There have been numerous major tweaks and revisions, raising the Polo GTI from a fairly poor hot hatch to one of the best. The biggest change is the engine. Volkswagen has thrown out the old Polo GTI's 1.4-litre twin-charged engine and replaced it with a 1.8-litre turbocharged petrol. Power is up from 180PS to 192PS and peak torque is up from 250Nm to 320Nm. 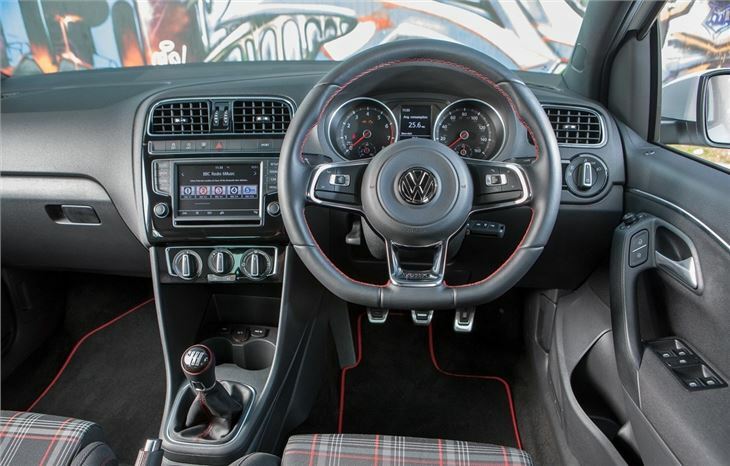 Plus there is now a manual transmission as standard in place of the old car’s seven-speed DSG – though you can still specify the auto as an option. 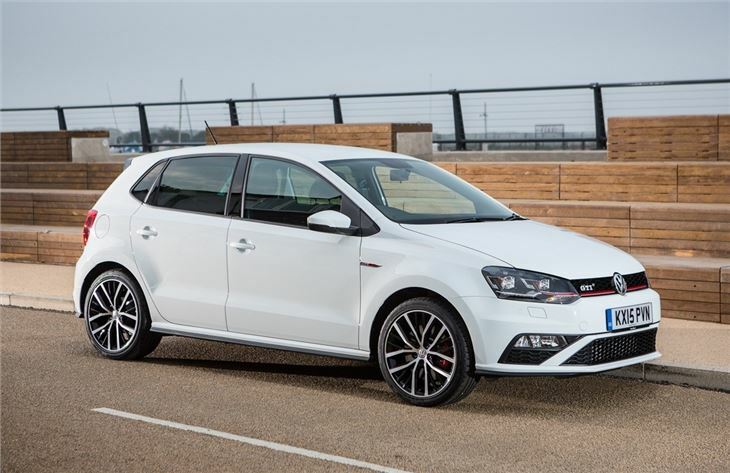 Inevitably the Polo must be compared to the Ford Fiesta ST - a car that is both cheaper and more fun on the right road - but the Polo GTI has a different character from the hyperactive Fiesta. It's more mature and easier to live with, thanks to a quiet engine and easy controls at low speeds. Around town or at a cruise it's barely any different to a regular Polo. It’s fairly subtle in style with bumpers and a spoiler that are much less ‘in your face’ than the oversized add-ons you get with a Vauxhall Corsa VXR. 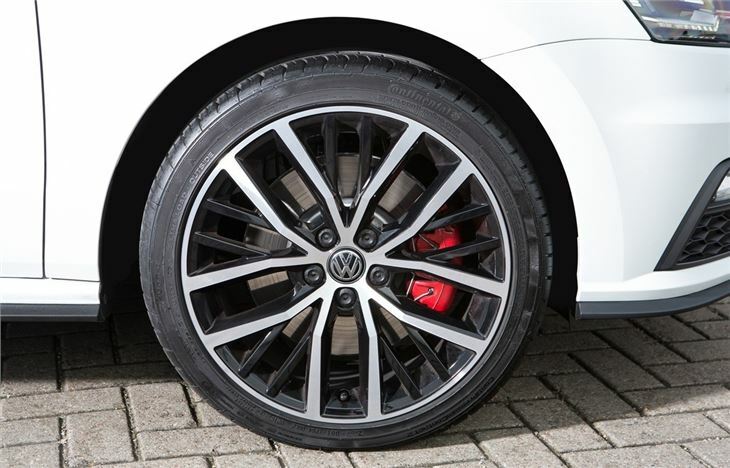 It’s still noticeably different from a lesser Polo, though, with a red grille surround and GTI-specific alloy wheels the most noticeable features. Those in the know will recognise this as a GTI, but your neighbours will see it as just another small car. It might look relatively subdued, but it is an impressive performer. Acceleration from 0-62mph takes 6.7 seconds and, thanks to that meaty peak torque figure, there’s always performance on tap when you want it. Overtaking is effortless and on a country lane there’s a lot of fun to be had, plus the engine makes a meaningful growl at higher revs. However there are problems – notably with the suspension. It’s a little too stiff on very poor roads, causing the car to jitter and jiggle. 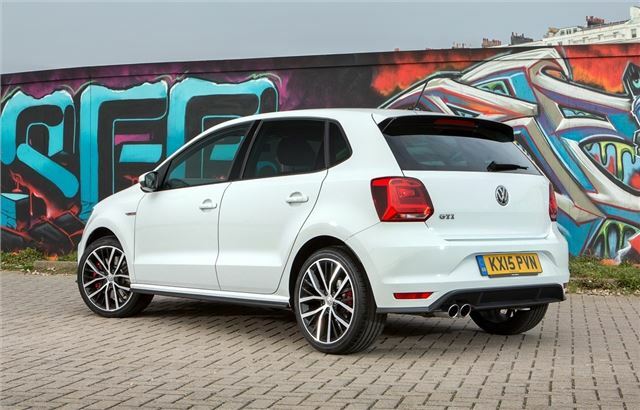 That’s not particularly confidence inspiring if you want to put your foot down and have some fun, but on a wider road with a better surface the Polo GTI is great, thanks to good grip levels, nicely weighted, nimble steering and a snappy gear change. If out-and-out enjoyment is top of your list the Ford Fiesta ST is still king of the current crop of hot hatches. However, for someone who really wants the fun of a hot hatch and isn’t in favour of bright paint and oversized styling kits, the Polo GTI is ideal. It is a little more expensive than its rivals from Ford and Vauxhall, but it is more practical thanks to a five-door option, plus it feels like a more mature, better-made car.